Rob will tell you this was my idea but let it be known it was he who picked up the phone to me. 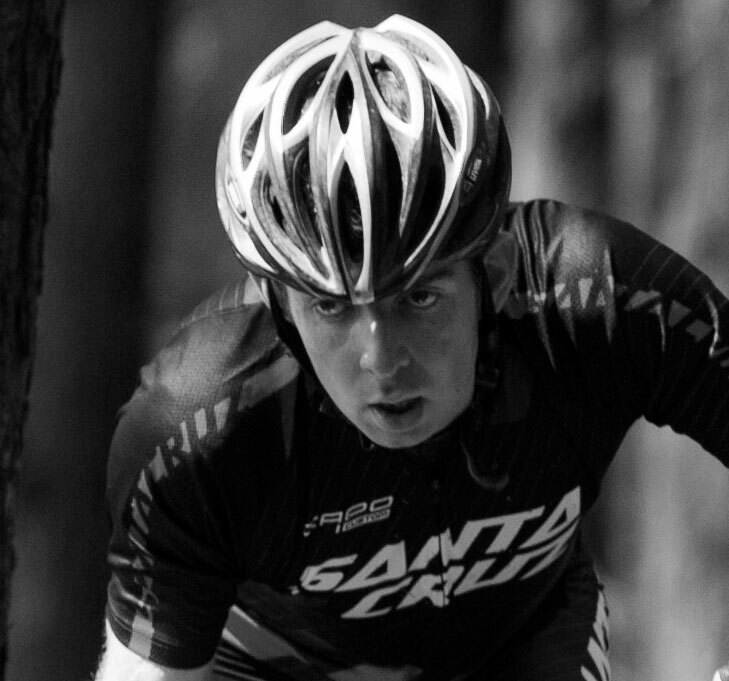 He called me while still in transit from the U.S. where he had just finished an impressive 8th in the World 24 Hour Solo Mountain Bike Championships. 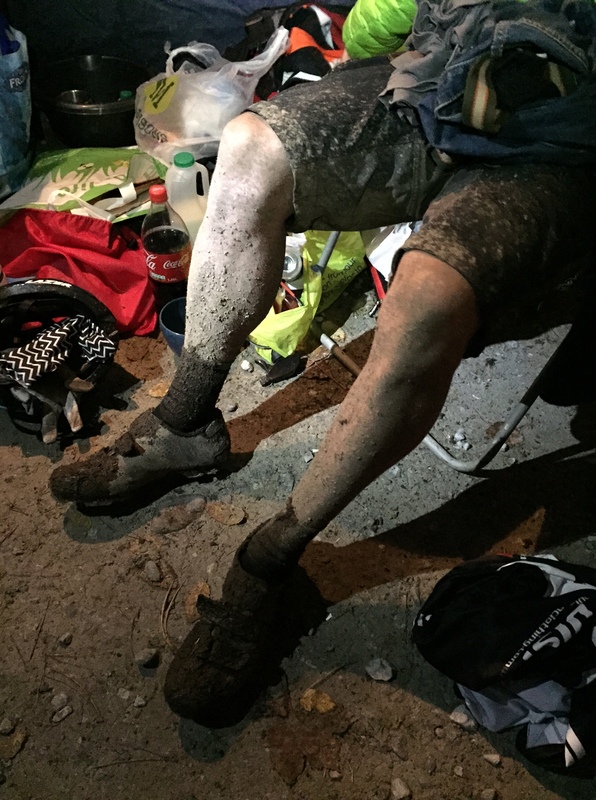 When he called he was still suspended in that emotionally vulnerable, weirdly euphoric space following a 24 hour mountain bike race – so I pounced! 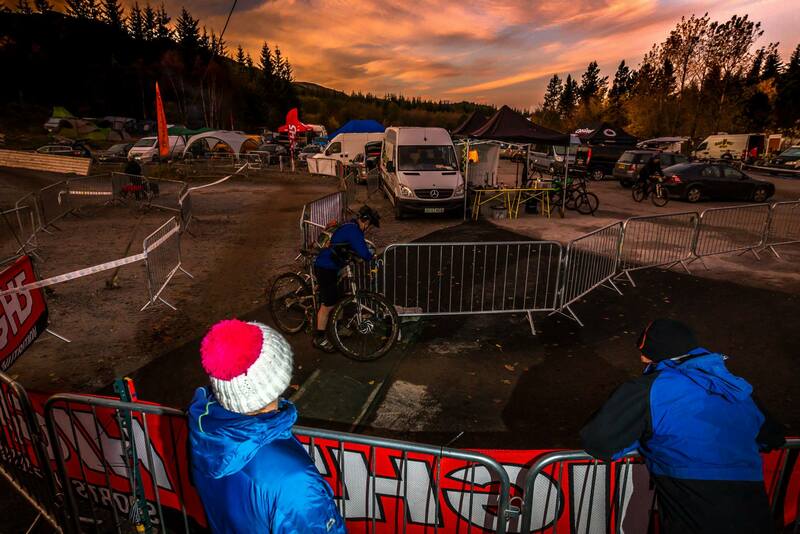 Relentless 24 is a No Fuss Events classic. 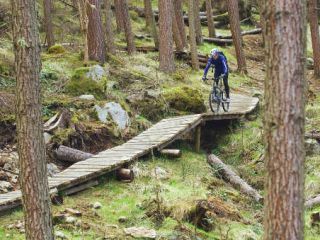 Spook and Fraser cleverly position it at the end of the race season on well built, weather resistant trails at Nevis Range in Fort William. It is a must for anyone with an ounce of energy left in them come October. Rob and I had an ounce left between us. That would have to do. We would share a pit area with David and Rachel so we could keep a close eye on our nearest mixed pair competition (and spike their custard at midnight if lap times were looking tight). 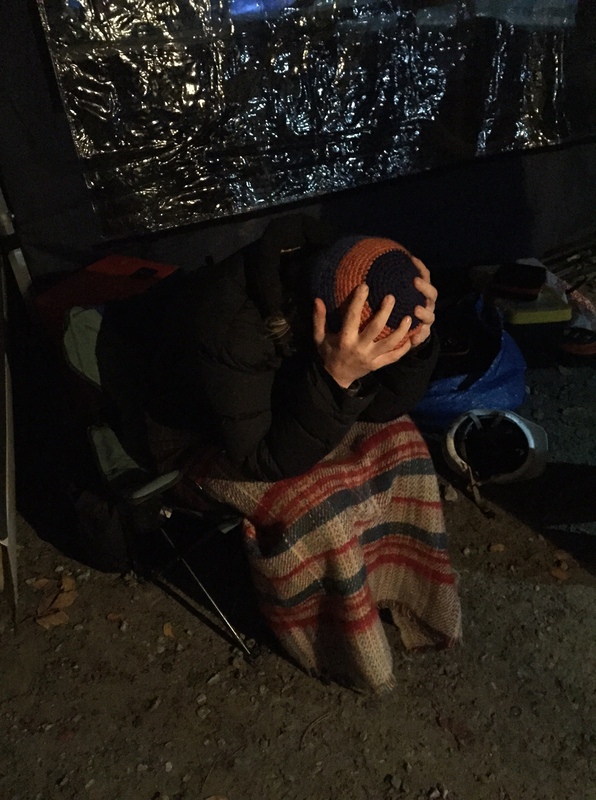 It rained unyieldingly all through Friday night but by the time we had wrestled our pit area into a wind and water tight shelter, the rain had stopped and it had turned mild. Small mercies. 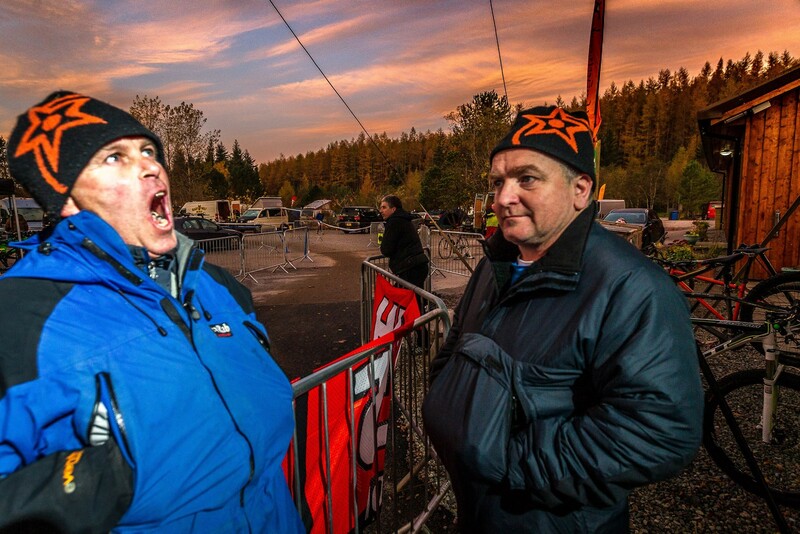 Just before 12 o’clock on Saturday, Rob and I discussed tactics before he set off on the first lap out of the Nevis Range car park. That would be the last time we would have a coherent conversation. 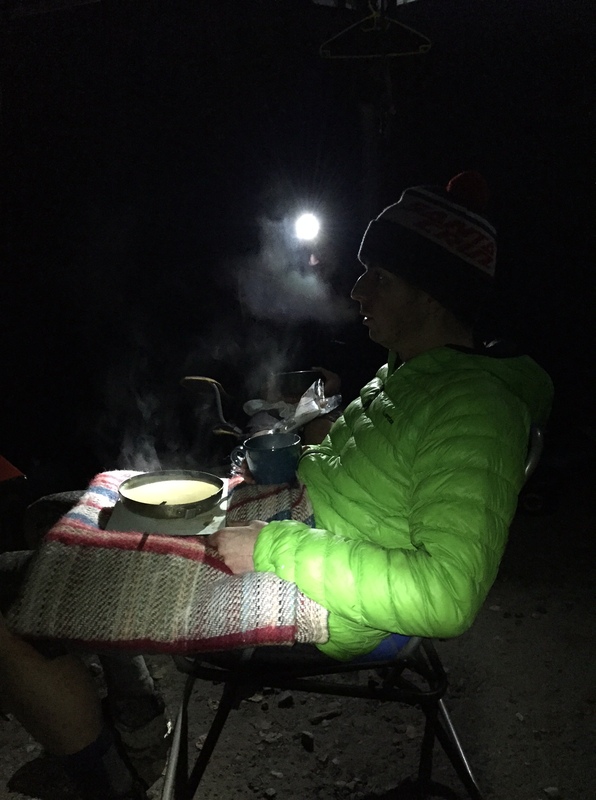 Our plan was to race hard lap on, lap off until it got dark then double up laps so we had a chance to digest food and rest a bit. David and Rachel were going to remain lap on lap off until one of them fell over. 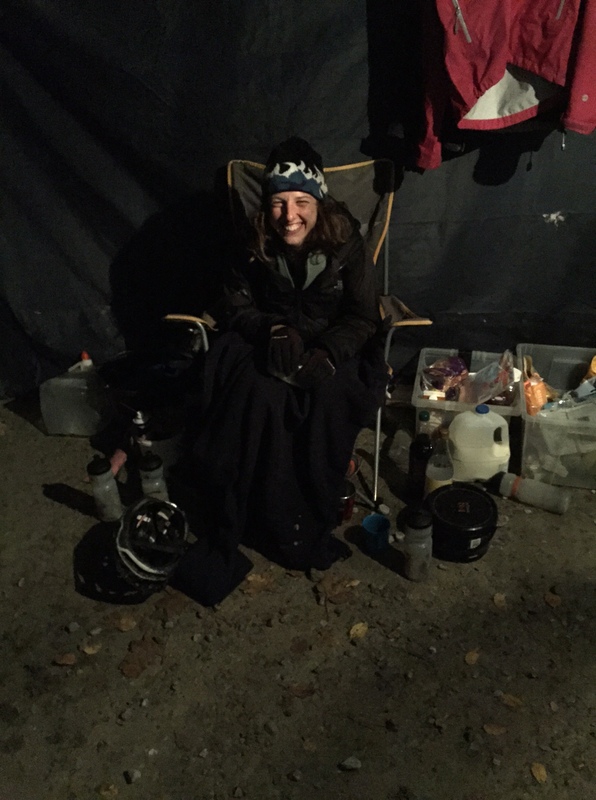 At the helm in our luxurious pit, Emily would work tirelessly to make sure we remained fed, watered, warm and just the right side of sane. In between times, she would wash bikes, fetch water, clean dishes, hang up kit, check lap times, calculate rider arrival times and herd us, tired and protesting, onto our bikes as our partner was approaching. Looking back, the riders had the easy job. 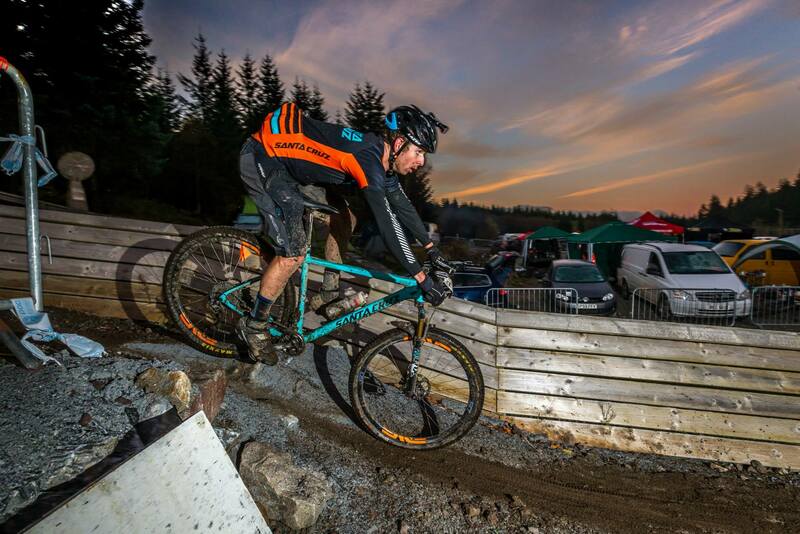 Rob set out averaging 38 minutes laps (! ), I managed a couple of 41 minute laps then settled down to keep things steady between 45 and 50 minutes. 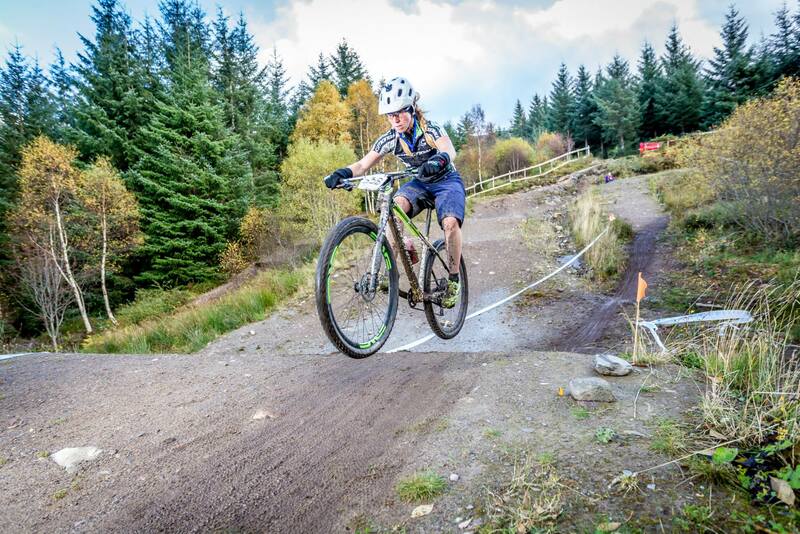 The lap began with a big climb featuring a couple of cramp inducing steep sections then descended on flowing singletrack interspersed with a short fire road link and enough rocks, roots and north shore to keep you on your toes. A final fire road traverse delivered you to the Torlundy end of the forest before a rolling, fun trail brought you back into the arena. Psychologically, it would have been nice if it had ended there but instead another 15 minutes of steep climbing and fast descending out the other side of the pit area completed the lap. 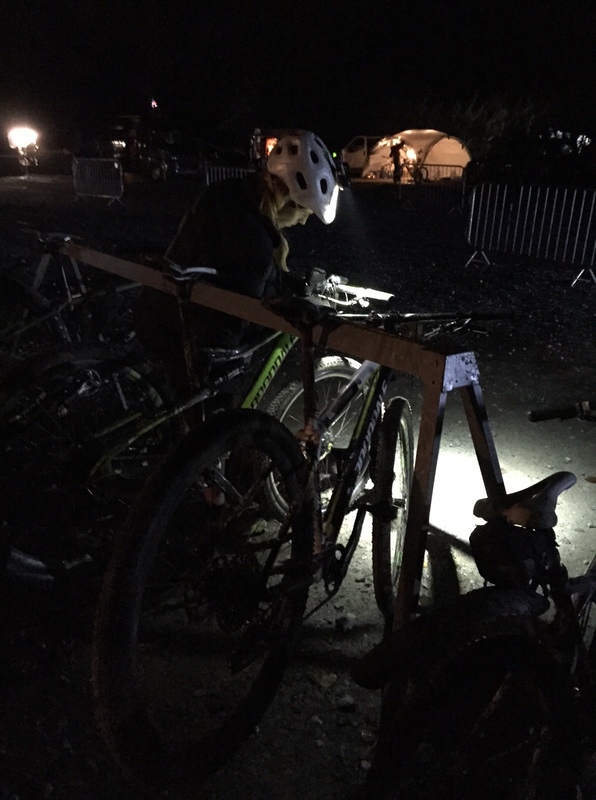 As the night wore on I realised I was no longer thinking about the trail moving backwards under my tyres and that something else was operating my body and bike. At 2am what might have been conscious thought during the day had given way to autopilot and I found myself returning to the pits each hour unsure of how I had got there. I’m going to tell you a secret. In these circumstances; custard. 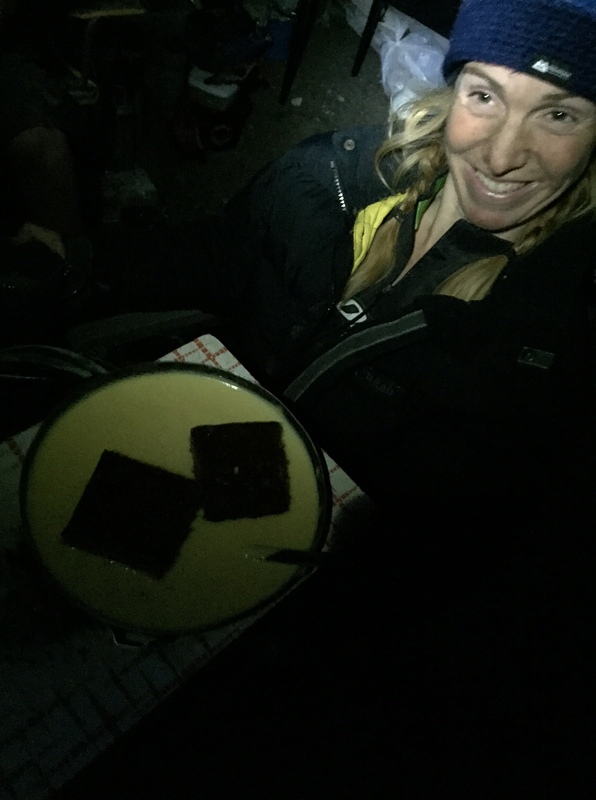 I remember thinking to myself in the dead of night, on a particularly hard climb and with pasta sitting heavily in my stomach, that there was just no way I was going to be able to keep this up. My body hurt to a remarkable degree and time was crawling. It has always amazed me how it is possible to keep going when you feel this awful but, having survived it, how it then tweaks your perception of just what is physically possible. At times I saw my ashen face reflected in the faces of either David or Rachel, sitting opposite me in our pit area. Rachel always managed to smile for the camera but I knew she was crying inside. I heard from Emily how Rob was doing (similar to the rest of us it would seem but with a bit more bounce). Then, just as I was sure the last vestiges of strength had been squeezed from me, the sun came up and lit up the glen. What had been oppressive night shadows now transformed into rose coloured hill tops and our moods changed dramatically. 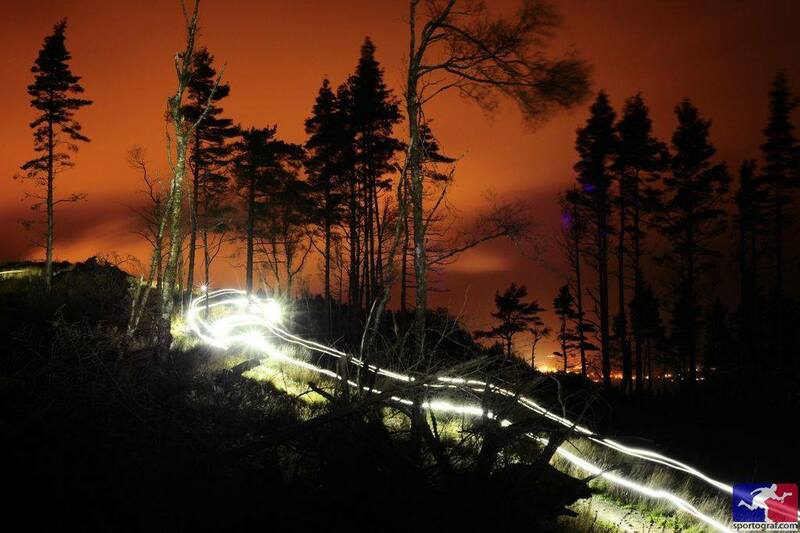 We all returned to our former pace and began knocking out the laps with renewed vigour. Rob and I had a comfortable lead in the mixed pairs but we were now racing for the overall win. Rachel and David hung in second place behind us and couldn’t afford to slacken their pace any for fear of being relegated to third. Out on the course their was evidence of sleep and calorie deprivation all over the place. People were not handling their bikes in quite the same way they had been 20 hours before, myself included. I had had 20 minutes of sleep around 4am but that had been a lifetime ago. I was so tired I riding with one eye closed. I switched bikes to ride my remaining laps on something with a bit more bite. The rear suspension and bigger tyres on my Cannondale Scalpel felt like a four poster bed with Egyptian cotton sheets after riding a hardtail all night and it carried me to the finish line admirably. Rob and I completed 34 laps in 24 hours, winning the mixed pairs (and the males pairs incidentally) and coming 3rd overall out of all the categories. David and Rachel held onto their second place by mainlining custard. Emily won the category of best-mathematician-under-duress. An enormous thank you to Exposure, No Fuss and their marshals for putting on this event. A special, belated thank you to all the people who shouted encouragement at me while I was out there doing battle. I wanted to thank at you at the time but I couldn’t spare the energy. Thanks, as always to Cannondale, for the tools to do my job and to Rob, David, Rachel and Em. Dream Team. I like your version of “easy”.